I've no shame in saying I love me some Keeping Up With The Kardashians days, I will literally spend hours just binge watching the show! However when you slap their name on a product I'm more than likely not going to pick it up. However with Kylie Cosmetics causing such a scene since they were first released, and people telling me I needed them, while others told me they were a waste of money I decided to see what I thought and ordered myself four different ones when she restocked! I had seen swatches for each shade everywhere but when ordering them I kind of just added whatever. I didn't go onto the website having a game plan, I practically just threw the first four I seen in my basket and quickly checked out. However the shades I did end up picking I'm so glad I did because I love every single one of them! As these products are coming from America meaning you can be unfortunate to be stopped by customs, thankfully I got away with it this time *happy dances* however I have seen people who haven't been as lucky and ended up having to pay to get the products. Now onto my opinions on them all! Is it sad that when I got the package and seen the card inside I got excited over that more so than the products?! The answer is yes, it has to be. When the Kylie Cosmetics were first released I know it was just a random thing to get the card, some people got them while others didn't. I'm not sure if they still do it at random or if everyone gets it now but you can bet it's on my wall! I adore the packaging for the cosmetics, from the outer to the actual one containing the product it's spot on. I have nothing to complain about, I think they picked a really good logo as when everyone see's it they can immediately identify it...almost like the Mc Donalds 'm' . 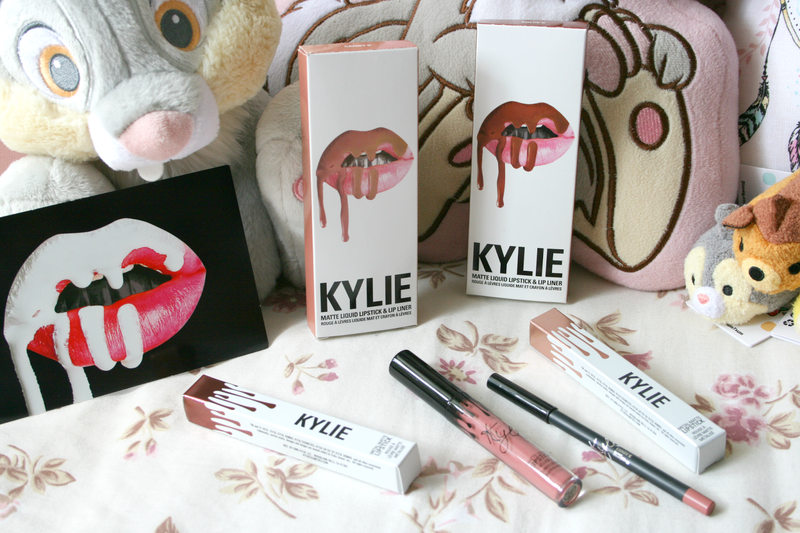 The metal lipsticks don't come with a lipliner meaning the box is that bit smaller and only features the drips around the packaging but it's still effective in knowing what it is, along with the big Kylie lettering on the box. Something I really like is on each box the drips represent the colour inside and I just think thats such nice little extra touch instead of just having some generic colour thats the same on every box. Starting with the lipliners, something I don't usually use when wearing any other lipstick. Why? I guess it's just an extra step and I'm way too lazy to go looking in my makeup stash for one. If it's a big occasion fair enough I'll go the extra mile but if I'm just going into town I don't tend to bother. These lipliners are a whole game changer! They're creamy, don't drag across your lip and the pigment is fantastic! You could honestly wear these on their own and nothing else because they're that good! I'm definitely going to buy some more lipliners as they now sell them as singles and they are worth every penny. The matte liquid lipsticks I was so surprised by. So right now everyone is going crazy for matte liquid lips and I have definitely tried out my fair few and found my holy grails in the Sleek Matte Me and the NYX Soft Matte Lipcreams. Well the Kylie Cosmetics kick them right out of my lipstick holder and are replaced. Firstly they smell amazing, they have a real vanilla kind of scent to them and what surprised me the most...how thin the formula is! I was expecting it to be thick like others I had tried but its so thin that when you apply it and it dries you don't even feel like you're wearing anything. Another amazing thing about it, these are literally bullet proof! I've been wearing these to work recently and I've been doing my makeup at 3am and when I get home at 2pm after eating and drinking throughout the day and just in general wearing it, it's still on my lips as if I just applied it. I'm so blown away by the quality of everything about them and I honestly cannot recommend them enough! I'm just waiting for payday to roll around because I'll definitely be purchasing more. The metal lipsticks are slightly different but still pretty amazing. The formula is definitely thicker but still thin at the same time, it's basically not overly done and you could put on two layers if needed without feeling like you've rubbed cement onto your lips basically. I will say that when applying Heir I usually opt for two coats just so you get that gorgeous colour pay off, Reign is perfectly fine as it's so dark one coat shows it's true colour. As the matte lipsticks stayed on so well I put it down to them obviously being matte and wasn't too sure how the staying power would be for these. So off I went to work again wearing them for the day and also eating and drinking. The staying power on these aren't half bad, I went to Starbucks and ordered a tea and a cookie and when I went back to work Heir was still on my lips looking like it was only freshly applied just maybe it lost a little bit of gloss. Reign is the exact same, it just loses the glossy finish it has when you've first applied it. I honestly cannot recommend these products enough and cannot wait to order some more because I am so in love with everything about them. This is definitely a hype I'm so glad I gave into. 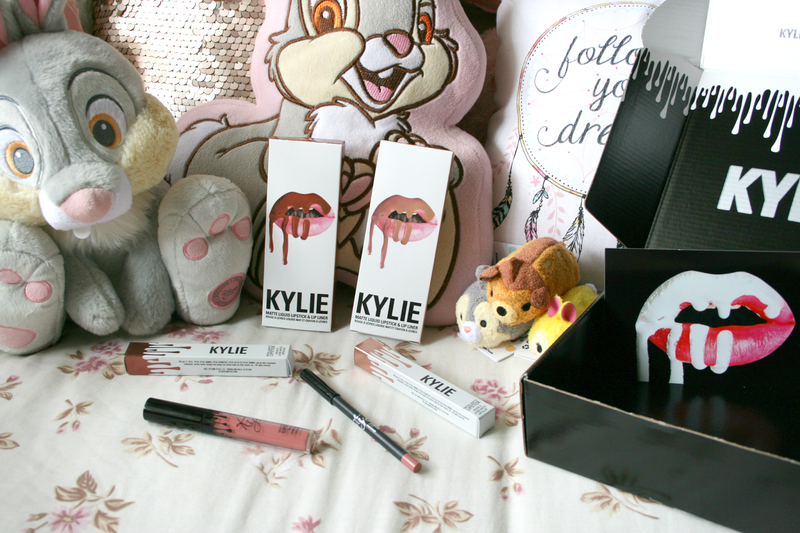 Have you gave into the hype and tried Kylie Cosmetics yet? I have been longing for Candy K for so long but can't bring myself to buy them but this has made me want them more! Heir is a beautiful colour! I really want to try the lip kits but I dont want to be caught out with paying custom fees because youre already paying a lot for the kits and postage. But Candy K and exposed are at the top of my list. I really want them! I want to try these so so so bad! I'm going to place an order asap! I just need them! NOW! It's great to hear such a positive review and I'm so glad you liked them! So many people didn't. If I could justify spending this much on lip products then I would order these...but my one true love is my nails - so I save all my $$$ for those haha! I'm so glad you liked these and the shades you got are stunning. I have tried to order them but every time ive tried they go out of stock :( maybe I will have more luck another day! I've heard really great things about the pencils in the lip kits especially! I still haven't built up to ordering seeing as it's so late at night for us and I'm scared about the ordering process and customs! 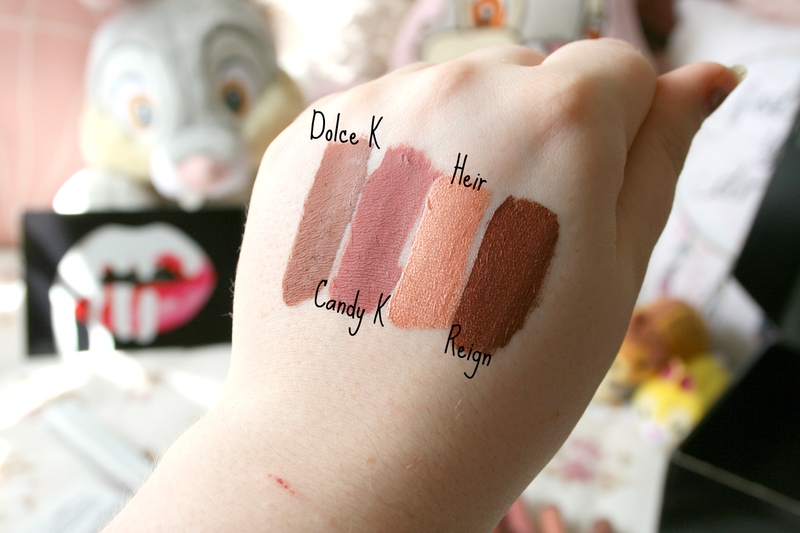 From the swatches they look amazing! You literally took the words out of my mouth with this post! I gave into the hype last week :P Like you i avidly watch Keeping Up, but i was sceptical of the product itself, before buying. KYLIE PROVED HERSELF! I also never use lip liner, but it IS a game-changer :P What other lip stuff would you recommend that's similar? Is Nyx good? I'm only buying cruelty-free now and Nyx are all cruelty-free!